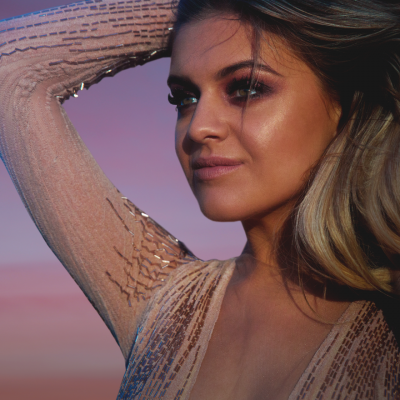 Before ringing in 2018, Black River Entertainment recording artist KELSEA BALLERINI is topping off a “mountaintop” year with an exclusive one-hour television concert special, Kelsea Ballerini, presented by AT&T AUDIENCE Network tonight. Filmed live from Nashville, Ballerini is offering at-home viewers a front-row seat to her milestone performance at Bridgestone Arena. Airing at 9 p.m. ET/PT on DIRECTV channel 239, AT&T U-verse channel 1114, and on-demand through DIRECTV NOW, the high-caliber footage was captured in front of a sold-out audience during the final U.S. date of her fall run on Lady Antebellum’s YOU LOOK GOOD WORLD TOUR. Mixing her history-making #1s from her GOLD-certified debut THE FIRST TIME – PLATINUM-certified “Love Me Like You Mean It,” “Peter Pan,” and “Dibs” – with breakout tracks from her acclaimed sophomore album UNAPOLOGETICALLY, such as the anthemic title track, “I Hate Love Songs,” and Top 15 and rising lead single, “Legends,” Ballerini’s top-tier set further cements her Country music stardom. Click here to see a standout first look of Ballerini’s “Legends” performance, as revealed by Rolling Stone Country. A trailer and preview of Ballerini’s post-show interview with AUDIENCE Music series host Ted Stryker is also now available. Beginning in February, Ballerini will welcome fans inside her whirlwind world of loss, life, and love, as she introduces UNAPOLOGETICALLY nationwide on THE UNAPOLOGETICALLY TOUR. From the Alabama Theatre in Birmingham, AL, on February 8, to the annual Stagecoach Festival in Indio, CA, on April 27 – with big city stops in Nashville, TN, New York, NY, and Seattle, WA in-between – she will be supported by special guest and breakout artist Walker Hayes. Rising star Bailey Bryan will also join for a special one-night-only appearance at Nashville’s Ryman Auditorium on Valentine’s Day. Country Music News Blog participates in advertising programs that help fund the operation of this site. For more information please visit our privacy statement. This entry was posted in Concerts, Kelsea Ballerini, Press Releases, Television by Shauna "WhiskeyChick" Castorena. Bookmark the permalink.